In the autumn of 2010, after 3 and a half years in Huddersfield Media Centre, we decided to move the business closer to home in Bradford. 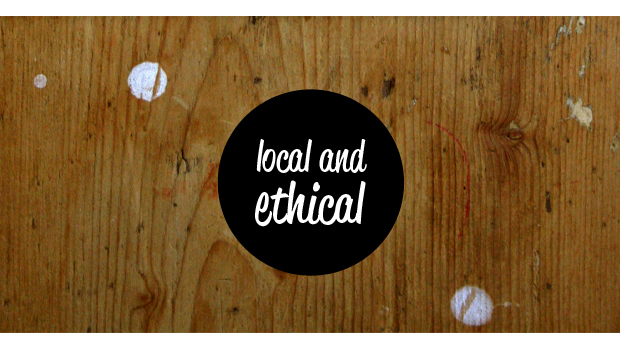 As part of this move we took the opportunity to make a pledge to ourselves to expand our network locally, particularly towards ethical companies and organisations. We wanted to help people doing good work and helping to improve the local area in some way. Since then we’ve worked with a number of local charities, community groups and organisations mainly in Bradford but all in West Yorkshire. We’ve really enjoyed getting to know the people involved and learning more about the projects they are setting up and running. We’re very proud that we’ve been able to help them in some way and are looking forward to helping with more good local work in the future. A club led and for young people based in Huddersfield who want to make good things happen. Design brief workshop, logo creation, poster, postcard and sticker design for various events. See work. A heritage project based on the Shalwar Kameez. Gathering stories about the Shalwar Kameez from local South Asian women who migrated from their homeland to live and work in Bradford. We created an illustration and flier design to invite people to share their stories and to take part in the project. Visual brand development, website design and build, banner and stationery design. See work.